When I had heard that the Oscar-winning actor had passes away, I felt devastated. More than I usually would for a Hollywood actor I have never met, but calling Philip Seymour Hoffman a Hollywood actor wouldn’t do him justice. He was a master of the craft, he was one of the greatest actors of all time. Period. The first film I watched with Hoffman in it was “Doubt,” I had heard great things about him in “Capote,” but never got around to seeing it. In the climax of “Doubt” Philip Seymour Hoffman and Meryl Streep square off and my mouth was on the floor. I was in shock, I had never seen such an impressive display of acting. 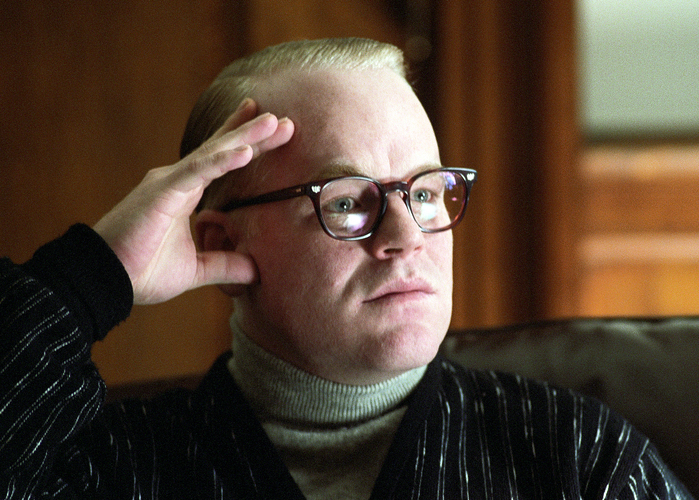 In the spirit of Media 10, we have put together Philip Seymour Hoffman’s top 10 performances. We are still waiting to see how he does in “A Most Wanted Man” along with some other potential Oscar contenders, but for now here is where the list stands. Normally it’d be counter-productive to create a list like this, because we all thought Hoffman had dozens of great performances left in him. Such a tragedy. Creating this top 10 was difficult; Hoffman knocked it out of the park in every role he ever took on. He survives through his incredible screen-prescence. Hoffman dedicated passion to his work and transformed into these characters. “Actors are responsible to the people we play.” the late actor said.